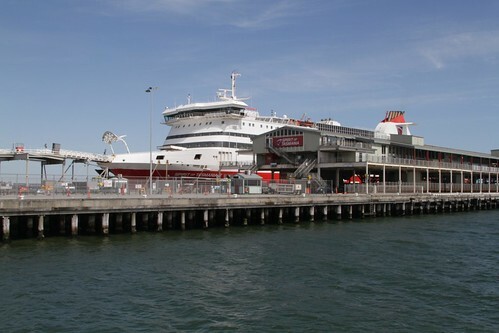 The Spirit of Tasmania is a roll-on/roll-off ferry that carries road vehicles as well as passengers between the island state of Tasmania and the rest of Australia. 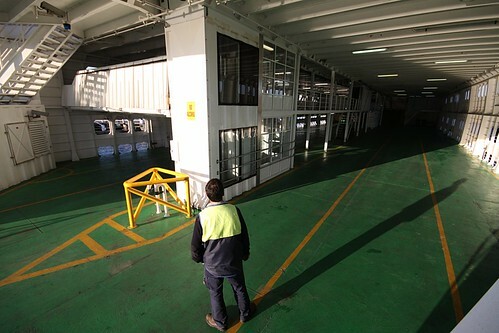 Two vessels operate the service across Bass Strait – MV Spirit of Tasmania I and MV Spirit of Tasmania II. So how are cars loaded onto it? 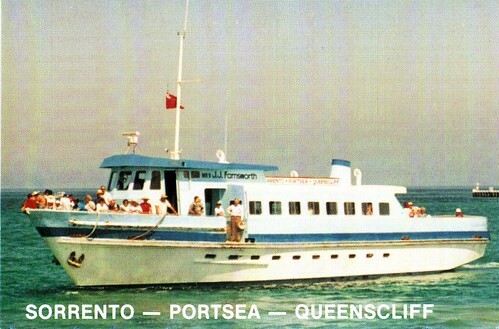 A while back I wrote about the history of the Queenscliff – Sorrento car ferry and the two very similar vessels that are used on the service – MV Queenscliff and MV Sorrento. 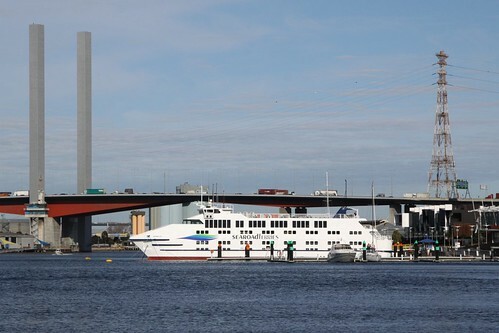 So how do they get such a massive ferry into the berth and loaded up with around 80 car during a 20 minute turnaround? 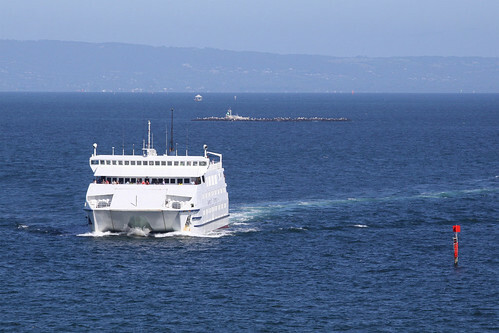 For visitors to the towns of Queenscliff and Sorrento on the shores of Port Phillip Bay in Victoria, the car ferry that links the two is a familiar sight, and there is no better reason to look at the history of it than today: the 24th anniversary of the first sailing of the service.